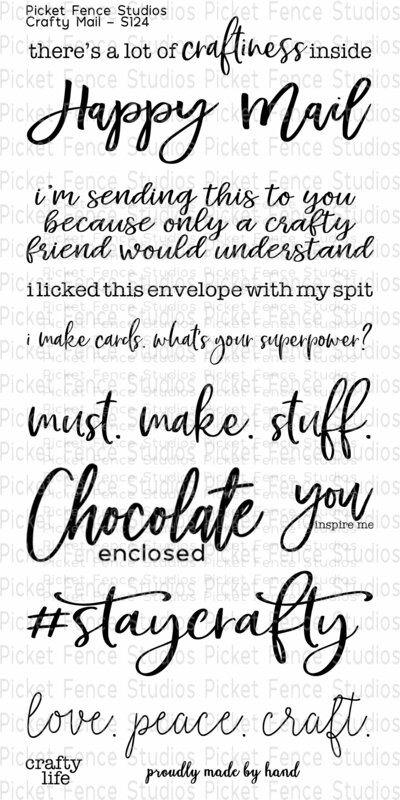 Photopolymer stamp set with twelve fun crafty sentiments to send to crafty friends or include in scrapbooking layouts with themed related illustrations. Designed by Nicole Petersen. Includes 12 stamps. Crafty Mail is approx. 0.75 x 3.5 inches.